Assumptions: * We assume reasonably good connectivity across sub-clusters (e.g., we are not looking to federate across DC yet, though future investigations of this are not excluded). * We rely on HDFS federation (or equivalently scalable DFS solutions) to take care of scalability of the store side. 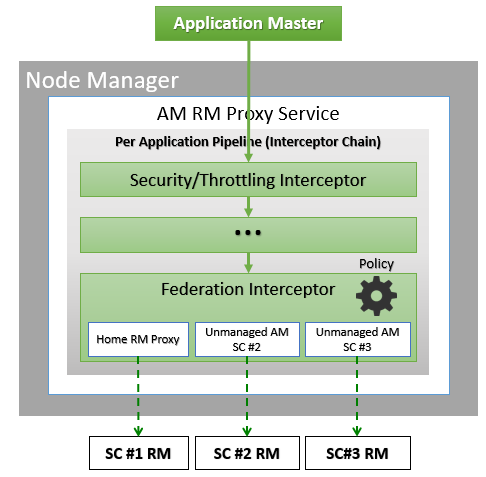 Role of AMRMProxy 1. Protect the sub-cluster YARN RMs from misbehaving AMs. The AMRMProxy can prevent DDOS attacks by throttling/killing AMs that are asking too many resources. 2. 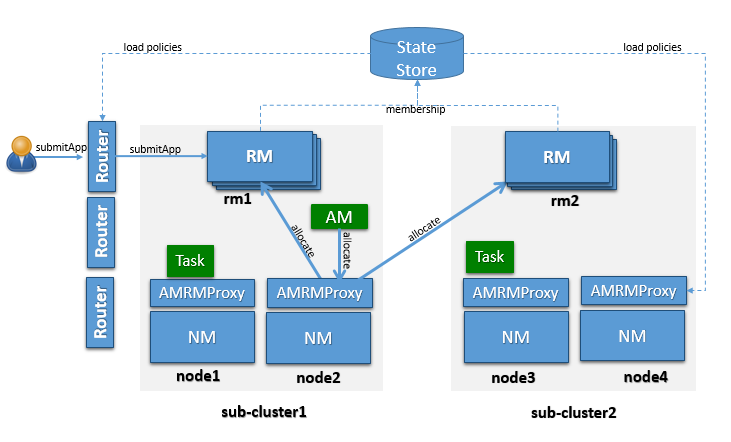 Mask the multiple YARN RMs in the cluster, and can transparently allow the AM to span across sub-clusters. All container allocations are done by the YARN RM framework that consists of the AMRMProxy fronting the home and other sub-cluster RMs. 3. Intercepts all the requests, thus it can enforce application quotas, which would not be enforceable by sub-cluster RM (as each only see a fraction of the AM requests). 4. The AMRMProxy can enforce load-balancing / overflow policies. 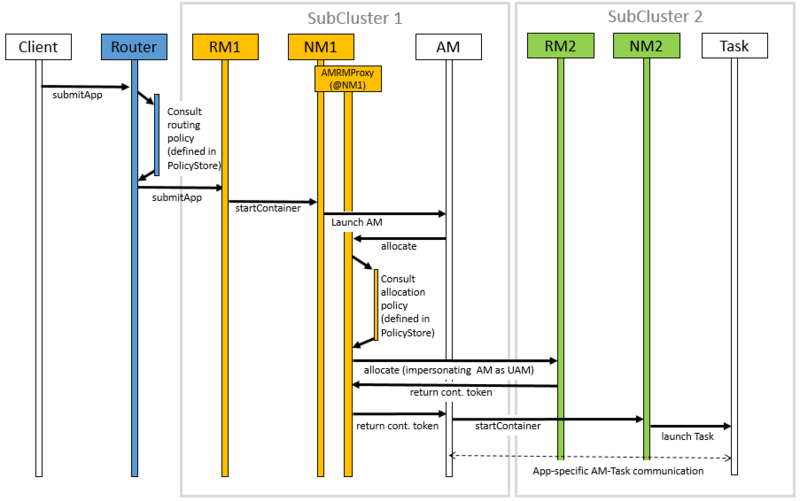 Based on a policy the AMRMProxy can impersonate the AM on other sub-clusters, by submitting an Unmanaged AM, and by forwarding the AM heartbeats to relevant sub-clusters.